The dedicated staff of The Ritz-Carlton Residences is a paradigm of exceptional service, masterfully anticipating the needs of residence owners and their guests. From housekeeping and entertainment reservations to private beach amenities and state-of-the-art spa facilities, the Sunny Isles Beach lifestyle can be tailored to suit individual preferences. Set apart on an uncrowded stretch of coastline, The Ritz-Carlton Residences, Sunny Isles Beach are a monument to tasteful living. Rising 650 feet above the sand, you see only possibility in all directions. The ocean, city, and Intracoastal waterway are yours, floating just beyond walls of crystal-clear glass or the edge of your terrace. The centerpiece is the breathtaking 33rd floor Club Level, a retreat where you will entertain or relax with impressive ease. 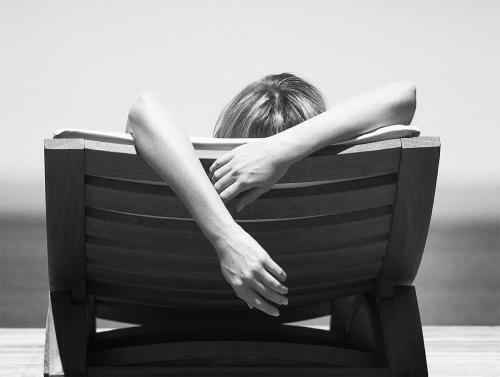 Select a book from the library and settle into a comfortable lounge chair overlooking the horizon while you read. Meet up with friends and neighbors to toast the sunset from the indoor or outdoor bar areas. Host a dinner party for your closest friends in the private dining room and kitchen. Envisioned by Michele Bönan as a retreat within a retreat, the Club’s walnut wood walls, custom furnishings, and contemporary artwork elevate any occasion. Far more than a building, this private property is a community defined by sophisticated pursuits. As you move through the different parts of your day here, there is a sense that everything falls perfectly into place. There is never any rush, nor any waiting. You are well attended, yet without ever feeling crowded. Every need is anticipated, often before you even think it. Behind every detail at The Ritz-Carlton Residences, Sunny Isles Beach, there is an ever-present spirit of service that delights in surprising you and you alone. The staff here takes pride in learning all your preferences, large and small – from how you take your coffee in the morning, to your favorite spot to sit by the pool. Your car is ready at the precise time of day you prefer to make visits around town. Errands are completed on your behalf to your exact direction. All these come as second nature to those who serve you, leaving you to wonder how you ever lived any other way. *À la carte services may be provided by third parties. Although The Ritz-Carlton Residences, Sunny Isles Beach are an oasis unto themselves, there are times when you deserve to be transported to a state of sheer bliss. It happens at the Spa, where treatments, rituals, and experiences rejuvenate and restore the body. Soothe tired minds and muscles with a visit to the outdoor massage garden. Feel the rest of the world fade away as chromotherapy and the sounds of the experience showers gently embrace you in calm. Ease into a two-person Rasul and unwind as the heat, moisture, and minerals of natural clay return you to a state of pure balance. Experiment with the refreshing sensations of the Ice Fountain or the nurturing heat of the sauna. 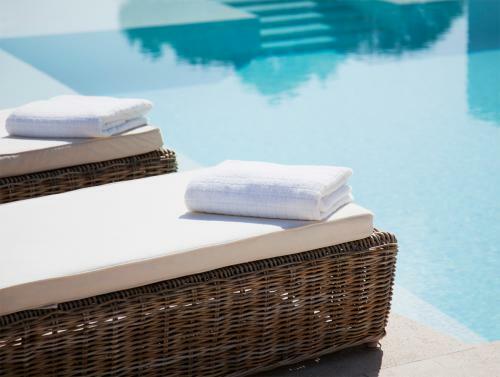 Immerse yourself in the waters of the Thermal Vitality Pool or lap pool, both lit by the afternoon sun. Located just steps from your front door, these are indulgences you can experience any time. Share the splendor of your daily lifestyle while also offering exceptional privacy and convenience. The 33rd floor Club Level includes eight individual guest suites, exclusive to owners for their own personal visitors. Friends, family, and loved ones delight in these large studio-style spaces that offer ample room to sleep, unwind, and relax. Let guests feel completely at home thanks to separate bedroom, living, and dining areas. Allow them to make your views their own with ocean-view balconies. 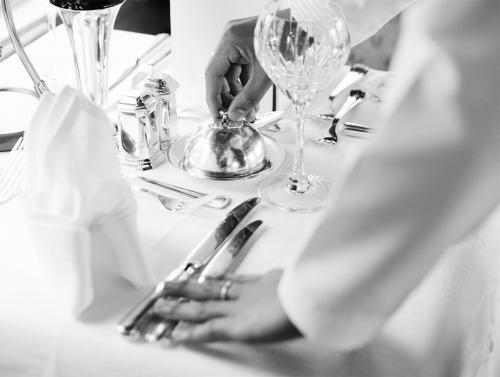 Treat your guests to a taste of The Ritz-Carlton standard of service with daily housekeeping and more. You will soon be the most-sought-after invitation in your social circle. *Guest suites are offered to owners only on a first-come, first-served basis at established rates and conditions of the owners’ association. The Sunny Isles Beach neighborhood has long been known as an upscale family-friendly destination. The Ritz-Carlton Residences, Sunny Isles Beach are no exception. The idea of all-ages fun and family enjoyment has been to celebrate youthful energy and independence in a whole new way. The Kids Club is an engaging home away from home for children and teens to laugh, play, learn, and make new friends all under the watchful supervision of a caring, professional staff. Indoor and outdoor play, arts and crafts, music, songs, games, and discovery happen all the time here. 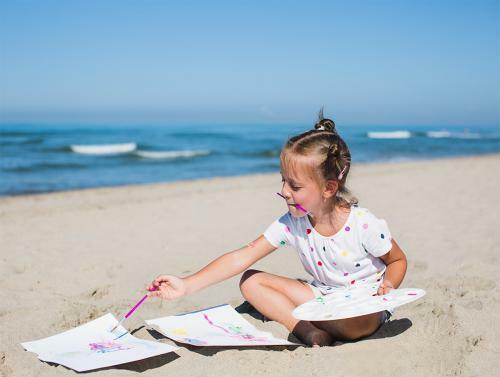 And with the ocean right in your backyard, children can always count on beach events, an aqua playground, supervised swimming, and sunny memories made daily. *Services available à la carte with advance notice.